My family room has a wall of shelves, the bottom of which are full of toys which desperately need a good sorting through, which I will do this weekend. They aren't getting purged, just put away for the next little one. Everything else I sorted through. Here is the how-to declutter post for the living room. More candles, I seriously have too many candles since I never burn them anymore with a toddler around. I recently went through all my craft stuff and gave away all the crafting things that I knew I'd realistically never use. I had acquired a bit of scrapbooking items, but realistically, I do digital scrapbooking and don't take the time to do anything with the paper and supporting bits, so I passed them all off to a friend of mine, so I didn't have much there to purge. What did you purge or declutter? 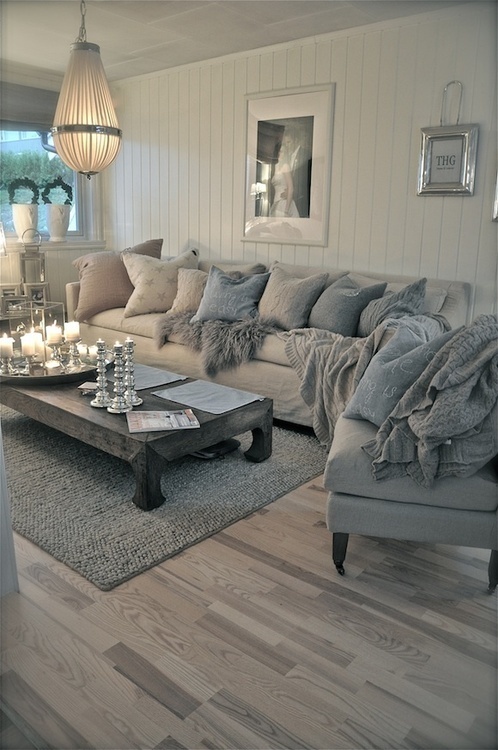 Love this room, well with about half the pillows and throws and candles.